We spend 4 days sea-kayaking, snorkeling and camping on Espiritu Santo Island. 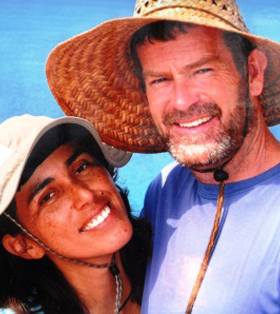 Then after a day off to explore La Paz we journey to the Pacific Lagoons for two days of whale-watching. Wildlife: Californian Sea-lions, tropical fish, endemic ring-tailed cat (Babisuri), dolphins, manta rays, Pelicans, Blue-footed Boobies, Ospreys, Frigates, Herons, Egrets and Grey whales. 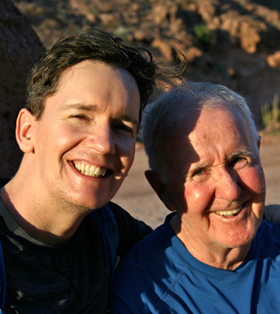 Includes:Certified, bi-lingual naturalist guide(s) & cook(s). 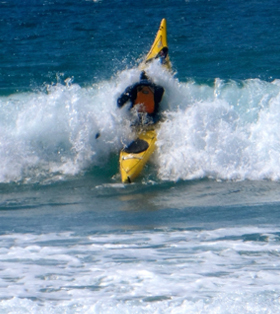 Single and/or double kayaks, all kayaking gear, camping equipment, transportation to and from your La Paz hotel to the island and to the Pacific Lagoons for whale-watching. All meals are included (except for meals indicated below). Accommodation included: 4 nights comfortable hotel/1 night rustic cabin/ 3 nights camping. "Motor Skiff support boat to carry all the expedition gear." Does not include: Airport transfer and flights. Dinner on Wednesday, lunch and dinner on Thursday and dinner on both Saturday nights. This itinerary provides the opportunity to experience sea-kayaking in the Sea of Cortez followed by a trip to the world famous breeding grounds of the Gray Whale in Magdalena Bay. We spend 4 days sea-kayaking, snorkeling and camping on Espiritu Santo Island. Then we have a mid week break to relax and explore the enchanting seaside town of La Paz with its beautiful board walk and sensational dining. 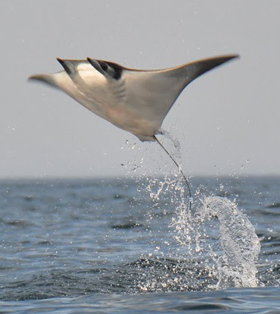 Finally we transfer to the tranquil lagoons in Magdalena Bay on the Pacific coast of Baja. 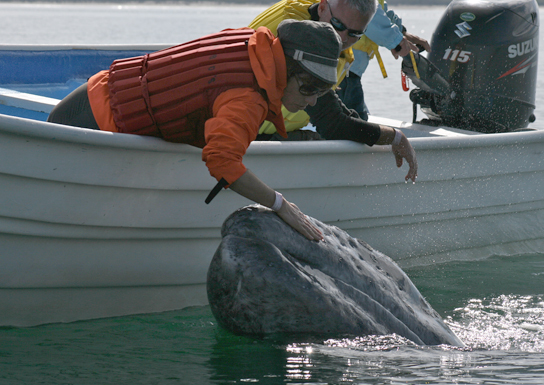 Here we make two separate excursions to observe the Gray Whales in their natural habitat - every year the Gray Whale makes its annual migration from the Chirikof Basin to Magdelena Bay, a round trip of some 12,400 miles making it the longest migration by any mammal. 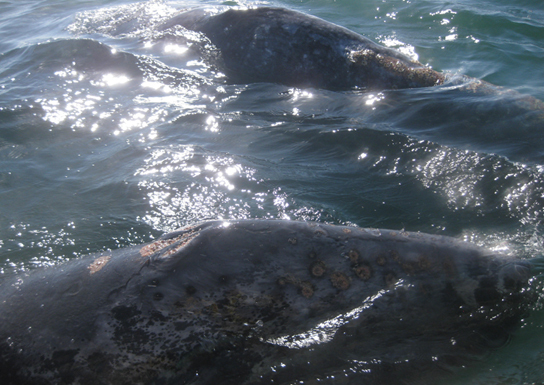 During the Gray's winter visit, they calve and nurse in the shallow Mexican lagoons. 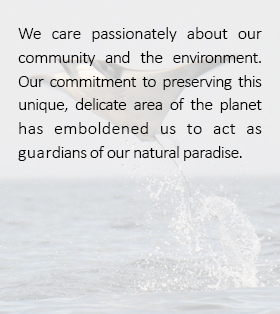 These breeding grounds are protected by strict Mexican environmental and ecological legislation. We are careful to observe these regulations by exclusively working with licensed cooperatives that have trained boat drivers. This in turn helps support the local fishermen and their families in Lopez Mateos. Day 4: Today we will kayak to the north end of the island crossing over to Isla Partida and setting camp in the breath-takingly beautiful bay of Ensenada Grande. Day 5: We will take a boat ride out to an exquisite off shore islet which is home to a large sea lion colony. Here you can experience the amazing thrill of swimming with sea lion pups and snorkel amongst thousands of tropical fish. Lunch back at camp and then pack up to return to La Paz by mid afternoon. Hotel night. Day 6: A 'day off' to enjoy a leisurely stroll around our picturesque seaside town. Browse in many Mexican arts and crafts shops or if you would prefer a more active day we can organize a 'Whale Shark Encounter' trip with your group in La Paz Bay. 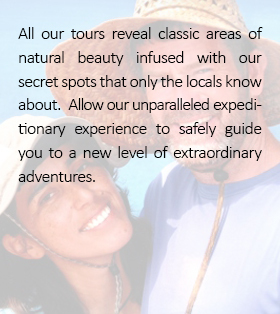 The tour lasts approximately 3 hrs so you still have time to explore La Paz. We recommend that you book this tour before arriving to La Paz. Before dinner, a margarita at sunset on the famous sea promenade is a La Paz tradition! Day 7: Transfer in our air conditioned private van to the shores of the Pacific Lagoons at Lopez Mateos - considered to be the finest whale-watching area in the La Paz proximity (transfer time is 3.5 hours). 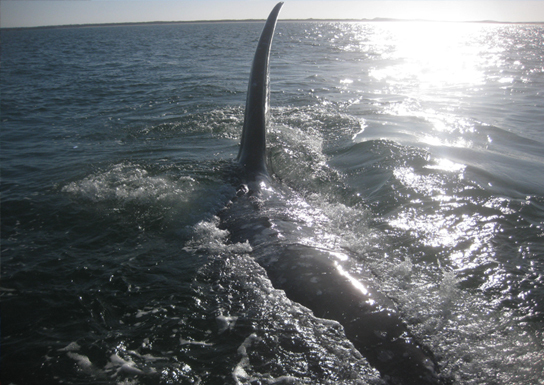 Typically within minutes of clambering aboard our motor skiffs we are out in the bay surrounded by Whales. The spectacle is quite amazing and close up encounters are practically guaranteed. Returning to the shore it is just a two minute stroll to our accommodation (rustic cabins). Relax and then freshen up before dining in our Palapa Restaurant with a fresh sea food meal. Day 8: Arise to a Mexican cooked breakfast before our next whale-watching trip. We will venture out into the bay for a second opportunity to immerse our selves amongst the whales. 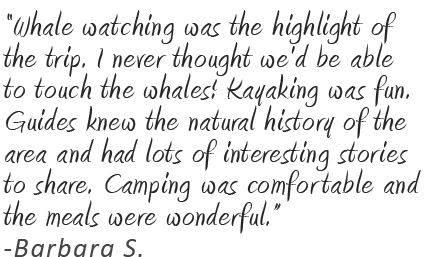 For the last ten years many of our guests have been thrilled by the whales swimming right alongside our boats giving them the extraordinary opportunity to pet them. 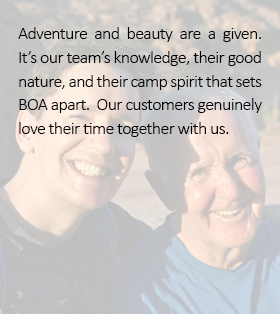 We will return to Lopez Mateos for a delicious lunch and then transfer back to La Paz arriving at around 4:00pm which gives time for anyone wishing to connect on through to Los Cabos the same day. Located just 15 miles north of La Paz the beautiful Espiritu Santo island is celebrated as Mexico's most popular sea-kayakingplayground. We access the "Jewel of The Cortez" by motor boat voyaging due north from La Paz and across the San Lorenzo channel in under one hour. Our departure point for whale-watching is from the fishing village of Adolfo Lopez Mateos which lies on the protected shores of Magdalena Bay. 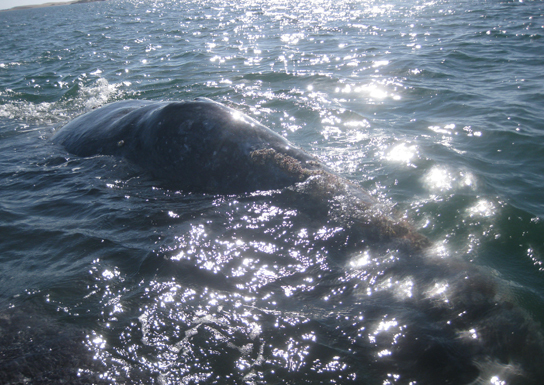 The Pacific Lagoons in 'Mag Bay' are famed as breeding grounds for the Gray Whale and are located along the Pacific Coast of Baja California Sur. Our boat ride searches for the whales staying within these Lagoons which provide us with calm conditions thanks to the barrier island effect of Isla Magdalena. Adolfo Lopez Mateos (ALP) is approximately a 3.5 hour drive north west of La Paz on a recently widened paved road. Our rest day between adventures will give you an opportunity to explore La Paz, capital city of Baja Sur. 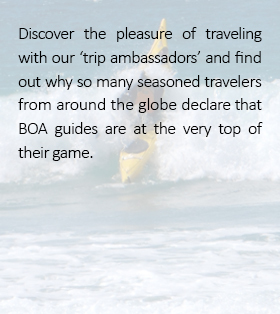 You'll discover why so many BOA guests keep returning to this quaint sea-side town with it's beautiful sea promenade and traditional Mexican charm.